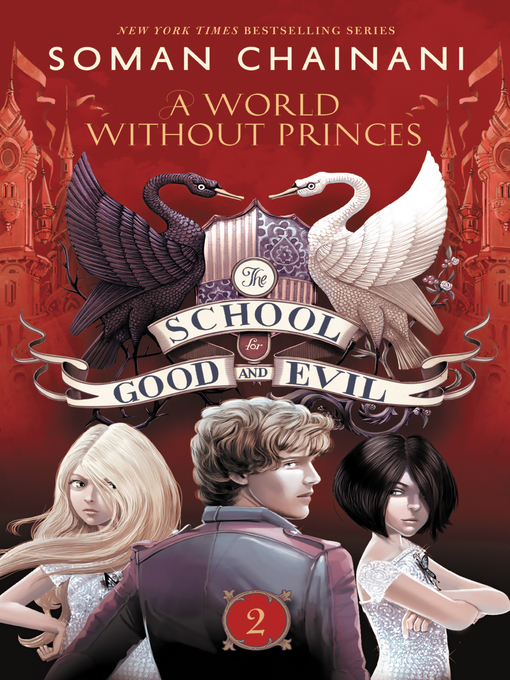 The item A world without princes : The School for Good and Evil Series, Book 2., Soman Chainani, (electronic resource) represents a specific, individual, material embodiment of a distinct intellectual or artistic creation found in Lawrence Public Library. In the New York Times bestselling sequel to Soman Chainani's debut, The School for Good and Evil, Sophie and Agatha are back in Gavaldon, living out their Happily Ever After, but life isn't quite the fairy tale they expected.Witches and princesses reside at the School for Girls, where they've been inspired to live a life without princes, while Tedros and the boys are camping in Evil's old towers. A war is brewing between the schools, but can Agatha and Sophie restore the peace? Can Sophie stay good with Tedros on the hunt? And whose heart does Agatha's belong to&#8212;her best friend or her prince?Soman Chainani has created a spectacular world that Newbery Medal-winning author Ann M. Martin calls "a fairy tale like no other, complete with romance, magic, humor, and a riddle that will keep you turning pages until the end." A world without princes : The School for Good and Evil Series, Book 2. The School for Good and Evil Series, Book 2.